Entitlement is integral to all of my projects, but in some projects it comprises the bulk of my work. Prior to working as a commercial real estate broker I was the Vice President of Real Estate for a third-party telecommunications service company that entitled and developed wireless towers. If one can get a cell tower approved everything else comes easily. I enjoy the entitlement process and understand that significant value can be added to a property through the process. A colleague and I have worked extensively in the North Valleys of Reno since the early 2000’s leasing space for third-party landlords, selling parcels to developers and brokering water rights transactions in the closed basin. In late 2014 we acquired a 2.34 acre parcel adjacent to Wells Fargo and Jackson’s Food Mart. We immediately initiated the parcel map process and began working with Truckee Meadows Water Authority (TMWA) to bring water to the property. In the spring of 2015, we were formally annexed into the TMWA service area and recorded our three-parcel-parcel map in early summer 2015. Obtaining water rights and creating parcels transformed the site from a dusty backlot to highly viable development ground. During the entitlement process Amazon.com announced their relocation from Fernley to a location immediately across Hwy 395 from the site and an additional 1.2M square feet of industrial buildings have been constructed nearby. Lemmon Valley is growing rapidly and we are excited to be part of this process. In this project I was retained by a client to sell a commercial tract of land along a major interstate. The proposed Buyer, a major area Health Care provider, had already been identified; however, the Seller had inadvertently allowed the Department of Transportation to remove the property’s highway access. 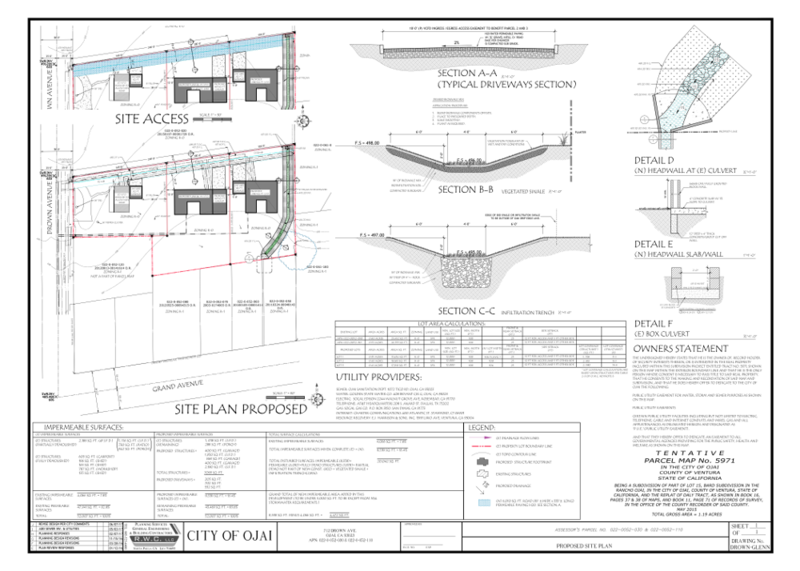 Working with the Buyer, Seller, a traffic engineer and an engineering firm, we developed a plan to re-entitle the access while enhancing the property’s usefulness to the proposed Buyer. I acted as the project coordinator, attending Public Meetings, directing the various consultants and insuring that the Seller’s interests were represented throughout the process. Our efforts were complicated by a proposed regional mall planned for an adjoining property which required us to design around their traffic loads. After nearly a year of work, which included multiple applications to the DOT and Douglas County we were successful in permitting the proposed improvements. This allowed my Seller to receive a substantial, near-record, price for the property and the Buyer to acquire a premium location with all entitlements in place. I have worked extensively in California, primarily in securing sites for Kragen/O’Reilly Auto Parts throughout Northern California. While I no longer work directly with this client I gained enormous experience in parcel splits and assemblage operations via these transactions. Recently I initiated a three-parcel split in the Town of Ojai, which is located in Ventura County just south of Santa Barbara. This is an on-going project where I have assembled a team of professional consultants to design a project that is minimally intrusive while still allowing the creation of additional housing units in the Ojai Valley. Ojai, like much of California, suffers from an acute housing shortage. The solutions are complex and local and state-wide leaders are crafting solutions such as the current AB 35, AB 73 and SB 540 (summer 2017). This project is proceeding in a regulatory environment that has not typically embraced additional parcel creation. Mirroring this, the Ojai City Council recently voted to oppose AB 35 in spite of the lack of affordable housing in town and the fact that the bill provides for prevailing wages to be paid as part of any such projects. Nonetheless, I anticipate the process to be successfully completed in late 2017.